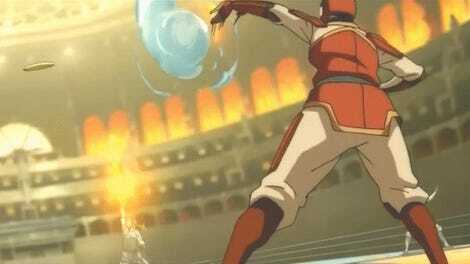 Korra and Asami sitting together in the Spirit World. How many people can say that their first date with their significant other was in the spirit realm outside of the conventional laws of time and space? Not. Very. Many. 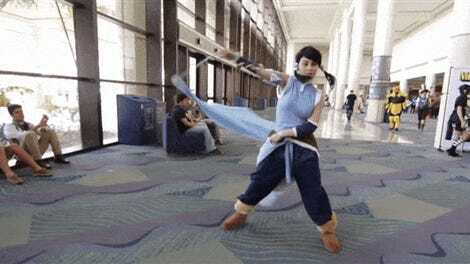 The subtle blossoming of Korra and Asami’s romance was the major plot point of The Legend of Korra’s final season and the jumping-off point of Dark Horse’s long-awaited Turf Wars comic. This kind of relationship didn’t seem in the cards for either of the characters at first, but it’s become one of the more interesting things about their lives as they’ve continued since the show’s series finale. 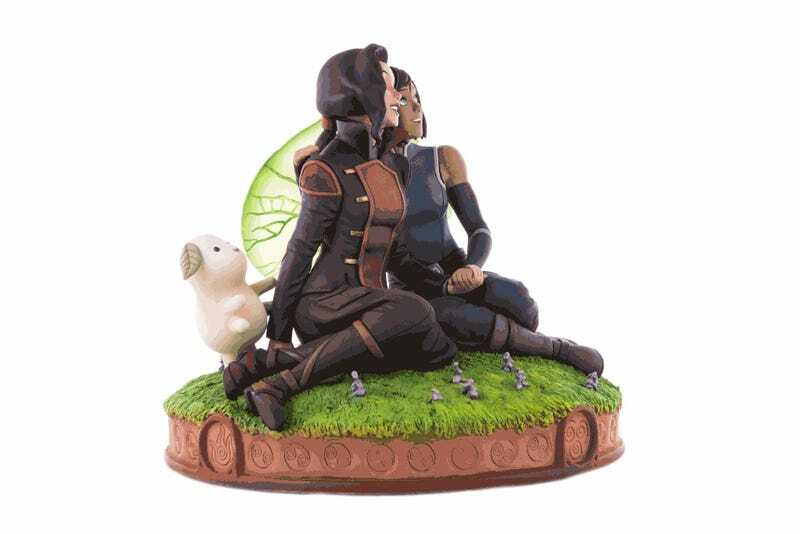 There are two versions of the statue, one a Mondo exclusive in which “the large plant can be interchanged with Korra and Asami’s backpacks, featuring a mischievous onion spirit looking to play a game of Pai Sho it’s found in one of the bags.” The exclusive is going for $215, with the other statue set at $210. Orders have a projected shipping date of early next year, meaning you’ve got plenty of time to get your coins together (they offer payment plans as well) and obsess over all of the statue’s gorgeous details.